China remains the world’s largest producer of rice. The Middle Kingdom harvests over 200 million tons per year and a large share of it gets exported all over the world. not only are untold amounts of pesticides used in Chinese agriculture, but according to a report in The Korea Times rice is also now being manufactured artificially. Potato starch gets mixed with plastic (synthetic resin, for instance) and then formed into rice-shaped kernels. Finally the grains are steamed with a typical rice aroma. three full portions apparently contain as much plastic as there is in a little plastic bag. That’s alarming! Pour a tablespoon of uncooked rice into a glass with cold water. 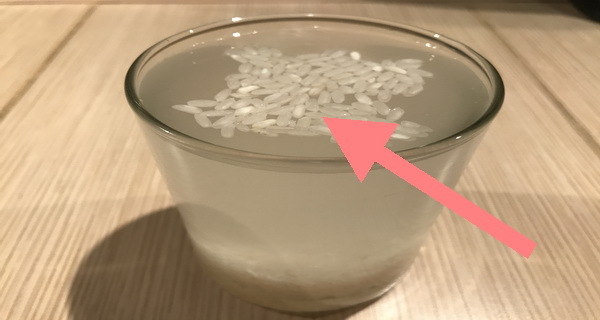 If the rice all sinks to the bottom of the glass, it’s fine. If the grains float up to the surface, be careful! Try setting a little bit of your rice on fire with a match or lighter. When you crush a few grains of rice with a mortar and pestle they should be reduced to a fine, white, starchy powder. But with artificial rice, you will see a light yellow discoloration instead. If you want to know for sure whether your cooked rice is quite safe, put a small quantity of cooked rice into an airtight container and leave it in a warm place. Within a couple of days it will have gotten moldy. Only fake rice stays mold-free. This is how to be on the safe side. Show these tricks to your rice-eating friends and that way no one will have to eat plastic for dinner!